Ski Goggles: When to Repair, When to Replace? If you’re one of those skiers whose goggles look like they’re straight out of Frankenstein’s lab, then let’s face it: it’s probably time to properly repair or replace your ski goggles. Not only is wearing goggles that are on their last legs uncomfortable (and uncool looking), but having ski goggles that are damaged can be a serious safety risk. So, how do you know when to repair and when to replace your ski goggles? Why Are Ski Goggles Important? Before we dive into whether you should repair or replace your ski goggles, let’s take a moment to think about why wearing goggles while skiing is so important in the first place. Goggles are one of the most important parts of a ski outfit because of their ability to block out snow, ice and the sun’s rays while you ski. Not only do they shield your eyes from all that harmful stuff, but they allow for better eyesight and performance during your run, helping to avoid any perilous obstacles or terrain. Goggles that are broken will hinder your vision and create an increased safety risk, making it all the more important that you have properly functioning goggles. When Should I Repair My Goggles? The short answer: anytime there is damage to your goggles. Skiing or snowboarding with damaged goggles is always a risk, so it should be a priority to repair any damages as soon as possible. Common goggle damage that can be repaired includes scratched lenses, degraded foam and ripped straps. Any of these issues will cause a reduction in the goggles view, fit and ability to protect from wind, all of which will affect the goggles performance. When determining whether your ski goggles should be repaired, carefully inspect the damage. Take note of what needs to be done and the things you will need to repair it. Sometimes you can fix the damaged goggles by yourself. Only attempt to repair your goggles if you have the proper knowhow and are confident and comfortable doing so. A shoddy repair job may be sufficient for a quick fix, but likely won’t hold up long term. Keep in mind that, while it is possible to repair some of these issues, there is no guarantee the repairs will be permanent. When Should I Replace My Goggles? So, you have some damage to your goggles, but you’re worried it’s too much to simply repair. How can you tell if you need to replace them all together? Certain types of damages cannot be repaired without compromising the ability of the goggle. The two biggest issues that would create a need for replacement are broken lenses or cracked frames. When it comes to broken lenses, repairing is not an option. Trying to repair a broken lens will still end up obstructing your vision and will not have the same structural integrity needed to protect your eyes and face. Even lenses that are significantly scratched are better off being replaced, as they will hinder your ability to see clearly. Find the correct replacement lens for your goggles on our Replacement Lens page. Frames that are cracked or split can be just as dangerous. If you need a quick fix for the day you can attempt to glue the parts of the frame that are cracked back together, but this will leave the frame as a whole weaker than they were initially and opens them up to the possibility of breaking again in the future. If this is the case, you need to buy a new pair of ski goggles entirely, as manufacturers typically don’t sell just the frame. 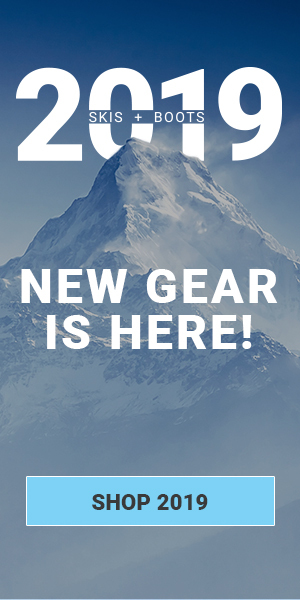 If you’re in need of a new pair, check out our full selection of ski goggles. How Can I Keep My Goggles from Getting Damaged? Get a ski goggle carrying case: Too many skiers and snowboarders just throw their ski goggles in with the rest of their gear when traveling, and by doing so it opens up the door to unnecessary wear and tear. Many ski goggle cases have a hard exterior that will protect them from outside damage and a soft inner shell that won’t scratch the lenses. Regularly clean and check your goggles for damages: The best way to prevent damages from worsening is to catch them early and get them repaired ASAP. Keeping your goggles clean and in good condition will only extend their lifespan. Buy goggles treated with anti-scratch coating: The best 2018 ski goggles all come with a special anti-scratch coating that will better protect against scratched lenses. If you’re constantly having to repair scratched lenses, it may be worth it in the long term to buy a pair of goggles with this feature. What Affect Does My Helmet Have on Goggle Safety? The fit of your goggles is important, not only for general comfort, but also for improving the goggle’s ability to adequately protect you. Therefore, finding a helmet that is seamlessly compatible with your pair of goggles in essential for achieving maximum safety while skiing. 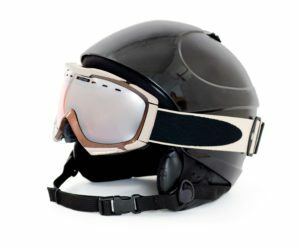 Many of the latest ski and snowboard helmets have adjustments that will help compensate for oversized goggles, and having a helmet that creates a perfect seal with your goggles prevents you from exposing your forehead to the sun, wind and snow of the outdoors, also known as the dreaded “gaper gap”. The more comfortable you feel on the mountain, the better you will perform, and the better you perform, the less likely you are to crash and damage those sweet goggles of yours (not to mention hurt yourself). It’s simply a fact of life: ski goggles get damaged sometimes. Knowing when to repair them, when to replace them and how to take care of them is knowledge that every skier should have – if not for their own safety, then at least for the safety of the other skiers inhabiting the hills with them. To learn more about ski goggles, their features and how to properly care for them, check out our Ski Goggle Buying Guide in our Ski-O-Pedia.